Southwestern Louisiana is probably one of the last places in America that one would expect to find a town named “Kaplan.” Nevertheless, there it is in the midst of the Bayou, a town sometimes referred to as “the most Cajun place on earth” that was actually named in tribute to a Jewish immigrant whose personal success brought great benefit to the region. Abrom Kaplan (1872-1944) was born in Most, Poland. He came to America when he was 15 and slowly made his way south from New York. He arrived in Louisiana three years later. Settling in the town of Crawley, Kaplan opened a small store and began buying property. Many people in the area tried farming rice. The climate was suitable for rice, but the mixture of the local fresh and salt waters were not. When Kaplan applied innovative methods of flood control to let the bayou water in but keep out the salt water, he changed the nature of Louisiana rice farming. His innovations were recognized by the Federal government, and Kaplan even met President Warren Harding in 1922. The successful development of the rice industry required a workforce not then available in the Crawley area. Kaplan not only sponsored the immigration of numerous of his own relatives but also purchased a recently closed plantation and began to practically give away parcels of land. Thus was born the town of Kaplan. Prior to Kaplan’s arrival, there had been a small Jewish community in the area, and Kaplan and the Jews who followed him to the area joined their community. They became members of Congregation Gates of Prayers in New Iberia. Kaplan himself served as an officer of Lafayette’s Jewish Cemetery Association (where he was later buried). The town of Kaplan itself, however, never had a strong enough community to build its own synagogue or Jewish cemetery. On April 30, 1812, Louisiana became the 18th state of the United States of America. Chronicle your family's presence in America for the sake of future generations. Anyone who has ever attended Jewish summer camp has probably spent some time dancing in a circle, doing the grapevine step and singing the song about Mayim (water). In honor of International Dance Day, Jewish Treats presents a history of Israeli Folk Dancing. The creation of Israeli Folk Dancing was a deliberate act meant to create a unified culture among the early Jewish settlers who came from a wide range of places and backgrounds. The themes of the earliest folk dances centered around the land, farming and basic Jewish life. For example, one of the first, and still one of the best-known dances is Mayim, Mayim, which was created by Ilse Dubon in 1937, in celebration of finding water after seven years of searching at Kibbutz Na’am. The lyrics are biblical: “With joy you shall draw water from the springs of salvation” (Isaiah 12:3), and the chorus, in English, is simply, “Water, water, water, water, hey water in joy!” Finding water in the parched land was a truly joyous occasion. In1944, choreographer Gurit Kadman organized the first Israeli Folk Dance festival in Israel, called the First Fruits Dance Pageant, at Kibbutz Dalia. It became an annual event, and other Israeli Folk Dancing gatherings became a common occurrence. While most people picture a circle of dancers when they think of Israeli folk dances, there are also line dances, partner dances, and individual dances. In the last 67 years, Israel has created its own unique dance culture and absorbed the cultural contributions of its many citizens and immigrants. In the last few years, in reaction to modernization, there has been a significant movement to preserve the old-style Israeli Folk Dancing. Find your own unique ways to express joy in your Jewish heritage. For most people, exploring the delightful flavors of the many foods of the world is one of life’s simple but great pleasures. As long as one gives thanks for the food and makes certain that it is kosher, can there be too much of this good thing? Gluttony is also mentioned in the Book of Proverbs, which states: “Do not be among wine guzzlers, among gluttonous eaters of meat for themselves, for the guzzler and the glutton will become impoverished and slumber will clothe [them] with tatters” (23:20-21). The Book of Proverbs also notes one difference between a righteous person and a wicked one that is noticeable in their eating habits: “The righteous eat to satisfy their souls, but the stomach of the wicked still wants” (13:25). Gluttony is actually a form of greed, of a desire to meet a physical need in the most constant and enjoyable manner. Like all desires that create pleasure for the self (like greed or pride), every person risks falling into gluttony, and so the Sages warn: “Every scholar who feasts much in every place, eventually destroys his home, widows his wife, orphans his young, forgets his learning, and becomes involved in many quarrels; his words are unheeded, and he desecrates the Name of Heaven and the name of his teacher and the name of his father and causes an evil name for himself, his children, and his childrens’ children until the end of time” (Talmud Pesachim 49a). Enjoy the good foods of the world, but stop when you are satiated. Many of the commentaries on this Mishna understand it as a reminder to the general public to focus on Torah learning rather than letting one’s mind be distracted by idle thoughts. Late night and lonely roads have always been seen as dangerous (think of most horror movies). Mitzvot, such as studying the Torah, are considered to serve as protection, based on the idea espoused by Rabbi Eleazar that “Those sent [to perform] a religious duty will not suffer hurt, neither in their going nor in their returning” (Talmud Pesachim 8b). Thus, Rabbi Chaninah warns against letting one’s mind wander and idle while staying awake at night or walking alone. The Mishna, however, can be much more than a warning about the dangers lurking at night. All people need “alone time.” In fact, many now advocate that, in our media-filled world, people need to make a particular effort to find specific time to be alone with their thoughts. However, for anyone who has experienced anxiety or even spent a few days worrying over a decision, late nights and lonely walks without focused thoughts are fertile territory for making a mountain out of a molehill. When settling down for the night, use those quiet moments to review all the things for which you are grateful. Judaism has many laws pertaining to the treatment of trees, particularly fruit trees. One law specifically prohibits the destruction of fruit trees. There is, however, one type of tree that it is a mitzvah to destroy - the Asherah. An Asherah tree is loosely defined as a tree used for idolatrous practices. The tree’s possible fate depends on how it was used: “There are three kinds of Asherah - A tree that was originally planted for idolatry, behold this is prohibited. If he lopped and trimmed [a tree] for idolatry and it sprouted afresh, he [must] remove the new growth. If he only set [an idol] under it and took it away, behold the tree is permitted” (Talmud Avodah Zarah 48a). The Asherah was not always a tree, but was sometimes a wooden pole posted next to an altar. Idolatry is extremely difficult for people today to understand, and it leads one to wonder what was unique about the Asherah that it was specifically prohibited. Nature has always been a lure for humankind’s desire to serve something greater. Idolatry began when people thought the sun, moon and stars were God’s assistants and made requests of them. In time, they began worshiping aspects of nature directly, and then, in time, statues to represent nature. Trees are particularly powerful representations of nature. As poetically expressed in Shel Silverstein’s famous book The Giving Tree, trees provide humankind with food, shelter and even, as noted in Genesis, clothing (think “fig leaves”). Additionally, fruit trees blossoming in the spring are powerful representations of renewal, life and fertility. Food, shelter, clothing, beauty, spring, fertility, and everything else that a tree represents, however, all come from God. Because trees are everywhere, and so easily overwhelm the imagination, the Asherah trees were considered particularly insidious, and must be destroyed. Take time over Shabbat to enjoy the beauty of spring's blossoming of nature. In early 1948, knowing that the untrained and disorganized Jewish fighting forces could not withstand a true battle for the Promised Land, David Ben Gurion sent Shlomo Shamir to New York to recruit training assistance. Shamir went to consult with David Daniel “Mickey” Marcus (1901-1948), who volunteered himself. Raised in Brownsville, Brooklyn, Marcus graduated West Point in 1924, and, during his first posting, attended law school at night. When he finished his posting, he resigned his commission, finished his law degree and began serving in the office of the U.S. Attorney in the Southern District of New York. A few years later, Marcus was appointed Commissioner of Corrections for New York. In 1940, Lieutenant Colonel Marcus returned to uniform, where he had an illustrious military career including appointments as Commandant of the Army’s new Ranger School and a posting at the Pentagon where he was involved in negotiations for the surrender of enemy forces in World War II. Following the war, Marcus was part of the Occupying Government in Berlin and was involved in assisting survivors and organizing the Nuremberg Trial of former Nazi leaders. In 1947, Marcus turned down a Brigadier Generalship for the sixth time and resigned from the army. Shortly thereafter, he was approached by Shlomo Shamir and went to Palestine under the unranked name of Michael Stone, a condition set by the U.S. government. After studying the situation, Marcus set about the difficult task of organizing the Jewish troops. He even created a training manual for the fledgling Israel Defense Force based on the U.S. training manual. Marcus also warned Ben Gurion that the south of Israel was particularly vulnerable to enemy attack. Beyond creating order, Marcus is best known for creating the “Burma Road” during the first stage of the war. A cease-fire date had already been agreed upon by Arab forces, who were besieging Jerusalem and were determined to possess and hold on to as much of the city as possible when the cease-fire took effect. It was Marcus’ idea, after several failed attempts at capturing the main road leading to Jerusalem, to build a second road. It took one week of heavy labor and distraction tactics, but on June 7, 1948, supply trucks rolled into western Jerusalem. Tragically, just hours before the cease-fire, Aluf (General) Marcus was shot to death by friendly fire when he returned from a late night walk and the new sentry on duty, who did not understand English, mistook him for an enemy. He was buried at West Point. *The nickname Mickey derived from Little Michael, which he was called as a kid because he used to shadow his older brother Michael around the neighborhood. To learn more about the modern state of Israel, explore the lives of those involved in the state's creation. This Treat was lasted posted on May 5, 2014. This Treat was last posted on May 6, 2014. Be proud of the many innovations that have come out of the State of Israel. Two thousand years ago, the Jewish sages declared: “Let all who occupy themselves with communal affairs do so for Heaven's sake, for then the merit of their fathers sustains them and their righteousness endures forever. And as for you [People of Israel], God will then say: I count you worthy of great reward as if you had done it all yourselves” (Pirkei Avot/Ethics of the Fathers 2:2). Working for the benefit of the community, whether on the simplest level such as the local synagogue board or within the more complex infrastructure of government, requires a person to stay pure of motive. This is something that is extremely difficult to do - not because of the Hollywood-portrayed lure of corruption and greed, but rather because there are many motivations that can drive a person into public life that are not really in the public interest. The sages’ declaration about the nobility of service for the community is actually the second half of a longer Mishna that praises the benefits of combining Torah scholarship with worldly occupation. That fact gives definition to the seemingly incongruous final line of the Mishna: Those who cannot find time to study Torah due to involvement in communal affairs are credited for their dedication (if done with the proper motivations). Be aware of your own inner motivations. One of the greatest dangers of the age of the internet is the abuse of medical information by lay people with no medical training, who suspect that they may be ill. Whether it is a strange rash, an unexplained pain or a seemingly unprecedented symptom, people everywhere are turning to the internet and diagnosing themselves with terrible diseases. After coming to the mistaken conclusion that they have been stricken with a serious, perhaps terminal, affliction, they finally visit a doctor and discover that their nights of anxiety were all for naught. The rash is a rash, and nothing more. It is interesting to note that the Talmud discusses this exact psychological mind-set, although in the Talmud this discussion concerned the spiritual disease known as tzara’at resulting from improper speech. While a tzara’at infection appeared on a person as a white skin blemish, the Torah also details how this sign of spiritual degradation could also affect inanimate possessions. In the case of a person’s house, tzara’at appeared as dark green or red blotches. In Talmud Negaim 12:5, the sages relate that a person who believes their home to be infected should go to the kohain (priest) and say, “There seems to me to be, as it were, a plague in the house.” All people, even great Torah scholars, had to use this non-committal phrase. The kohain would then come and carefully inspect the entire edifice, making certain that the diagnosis was unquestionably tzara’at. Develop a relationship with your local rabbi. Ten Boom was born in Amsterdam and grew up in the Dutch city of Haarlem. After training with her father, ten Boom became the first woman to become a licensed watchmaker in the Netherlands. When the Nazis marched into the Netherlands in May 1940 and began implementing their Nazification program, the ten Boom family (her father Casper, her sisters Betsie and Nollie, and her brother Willem) began sheltering Jews and resistence members from the Nazis. Eventually, they created a secret room, a tiny space suitable for up to six people, built into Corrie ten Boom’s attic bedroom. On February 28, 1944, based on the word of a Nazi informant, the Gestapo raided the ten Boom house. Around 30 people - the family, friends, neighbors who had come for a prayer meeting - were arrested. Those hidden in the attic, however, remained safe and were later assisted by other members of the resistance. Most of those who were arrested were released that day, but Casper, Betsie and Corrie remained in custody. Shortly thereafter, Casper ten Boom became ill, was sent to the hospital and died there only 10 days after the arrest. The sisters remained in the Scheveningen prison for three months before being transferred first to the internment camp at Vught and then to the Ravensbrueck Concentration Camp in Germany. 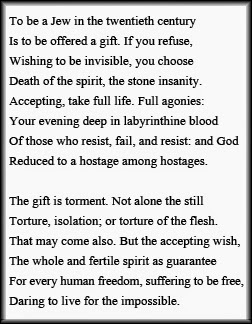 Corrie ten Boom was released from Ravensbrueck in 1944, twelve days after her sister Betsie had died. Ten Boom returned to the Netherlands where, after the war, she worked to help those who had survived the concentration camps. She began a world-wide ministry and became an international speaker. She was knighted by the Queen of the Netherlands and wrote a best-selling book, The Hiding Place. In 1977, ten Boom moved to Placentia, California, where she passed away a few years later on her 91st birthday. The story of the eldest sons of Aaron is a tragic tale that is described in the Torah in the vaguest of terms. On the grand day of the inauguration of the Mishkan (Tabernacle), the Torah records that “Nadav and Avihu, the sons of Aaron, took each of them his censer (offering pan), and put fire in them and laid incense on then, and offered strange fire before God, which He had not commanded them. And there came forth fire from before God and devoured them, and they died before God” (Leviticus 10:1-2). Other opinions, however, find fault in the behavior of Nadav and Avihu. One often-cited Midrash describes them as having been intoxicated at the time of the inauguration. This is extrapolated from the subject of the verse that immediately follows God’s instructions to Aaron and his sons not to mourn,* in which He warns Aaron: “Drink no wine nor strong drink, you, nor your sons with you, when you go into the tent of meeting, that you do not die; it shall be a statute forever throughout your generations” (Leviticus 10:9). 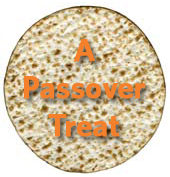 Donate left-over, sealed Passover foods to those in need. “Moses received the Torah from Sinai and transmitted it to Joshua; Joshua to the elders; the elders to the prophets; and the prophets handed it down to the men of the Great Assembly. 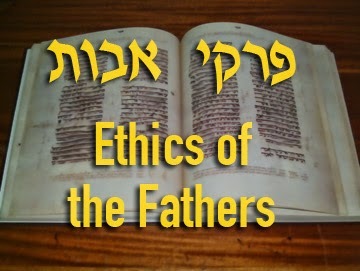 They said three things: Be deliberate in judgment, raise up many disciples, and make a fence around the Torah.” (Pirkei Avot/Ethics of the Fathers 1:1). These statements were not the only things that the Men of the Great Assembly said. They are, however, of particular significance since they are recorded in the first Mishna of Pirkei Avot/Ethics of the Fathers. What is the connection of these seemingly separate ideas, and why were they selected for inclusion in Pirkei Avot? The first Mishna is all about protecting the Torah. It begins by listing the history of the transmission of the Torah and its Oral Code from Moses down through the Men of the Great Assembly. With the increasing size and spread of the Jewish community at that time, these three statements provided (and still provide) important guidelines for Torah leaders on how to protect Jewish life. Being deliberate in judgment is a rule that can apply in many situations: taking one’s time in ruling on a law, hearing each legal case carefully and individually, or simply making certain not to be hasty in one’s judgment of others. Being cautious and conscientious protects the Torah from being distorted by rash judgments and, at the same time, uphold the Torah value of treating all people with respect. Similarly, as community leaders must be deliberate in judgment, they should not hold the Torah so close to themselves that its transmission is lost. Thus, the Men of the Great Assembly stressed the importance of sharing the Torah by educating many disciples. While encouraging Jewish leaders to teach many students, the Men of the Great Assembly cautioned the leaders of the importance of making a fence, setting rules to help people to not accidentally violate the laws of the Torah so that even as the community spread to different lands the holy laws would not become diluted. Since the time of the Gaonim (circa 8th-10th century, Babylon), Jews have studied one chapter of Pirkei Avot each Shabbat during the six Shabbatot between Passover and Shavuot. In many communities, this custom has been extended so that Pirkei Avot is studied from Passover until Rosh Hashana. Since many synagogues study Pirkei Avot communally each Shabbat after the afternoon service, the six chapters of Avot may be found in most Shabbat prayerbooks after the Mincha service. This Treat was last posted on May 2, 2014. Apply the wisdom of being deliberate in judgment into your everyday life. This Treat was last posted on September 25, 2013. This Treat was last posted on April 23.2014. Now that Passover is over, restock your shelves with your favorite kosher foods. Celebrate the miracles that occurred at the Red Sea during the final days of Passover. This Treat was last posted on April 17, 2014. The Psalms of Hallel can be recited in whatever language one is most comfortable. Special Matzot Many Jews will only eat shmura matzah (especially during the Seder). Literally "guarded matzah," shmura matzah has been carefully supervised from the time the wheat was cut until it was baked so that it remained perfectly dry until being deliberately mixed with water (lest it become chametz). 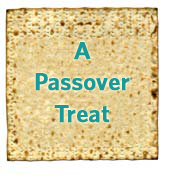 This practice is based on the verse in Exodus 12:17, "And you shall guard the matzot..."
Research creative recipes to serve through the rest of the week of Passover. This Treat was previously published on April 18, 2014. Do something each day this week to make it special for Chol Hamoed. This Treat was published on April 14, 2014. This year, the Counting of the Omer begins on Saturday night, April 4.There is a commandment (Leviticus 23:15) to count the 49 days that immediately follow the first night of Passover and, on the 50th night, to celebrate the holiday of Shavuot. This period of time is called Sefirat Ha'omer, the Counting of the Omer, because the counting begins on the night before the barley offering (omer) was brought to the Temple, which was on the second day of Passover. This year, the Counting of the Omer begins on Saturday night, April 4. 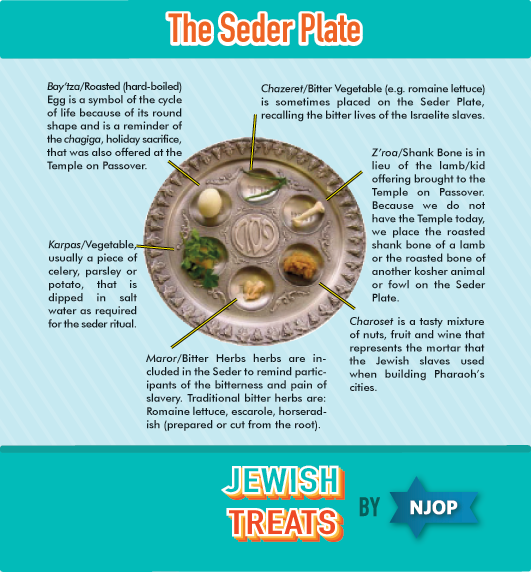 NJOP and Jewish Treats wishes you a happy and kosher Passover. The Second Cup is consumed after the section of the Hagaddah known as Maggid, in which we tell the story of the Exodus. 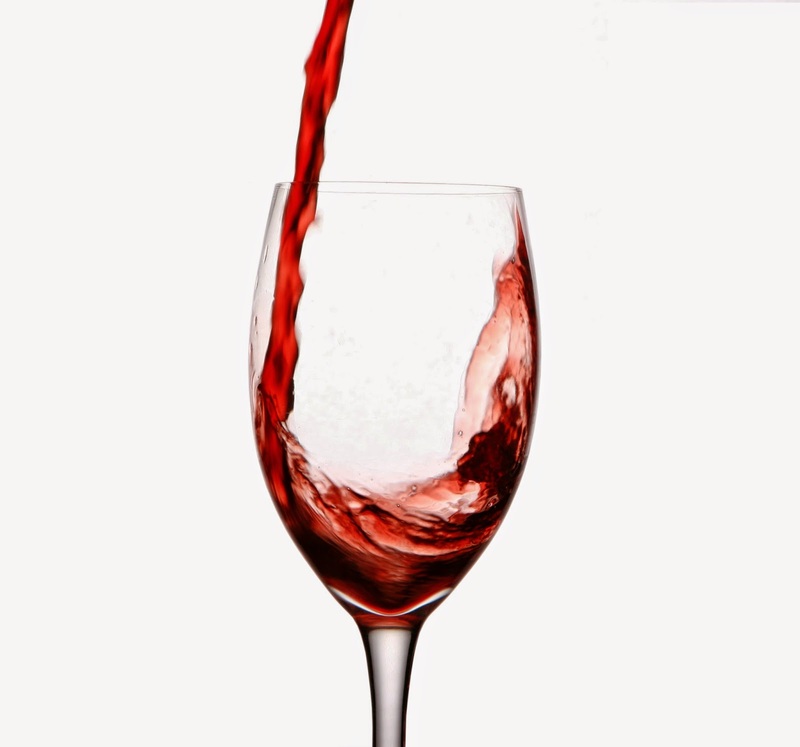 The blessing on wine is made a second time because significant time has passed since the first cup was blessed. The Third Cup is blessed after Birkat Hamazon, the Grace After Meals. It is customary that after reciting Birkat Hamazon as a group, a blessing is recited over a single cup of wine or grape juice, and consumed by the person who leads the prayer. At the seder, however, all present bless and drink their own cup of wine. The Fourth Cup is consumed at the conclusion of Hallel, the section of Psalms praising God. This Treat was published on March 15, 2013. This Treat was published on April 13, 2014. Shop the kosher wine section of your local liquor store for something new and interesting to serve at the seder. The night before the Passover seder, the home is thoroughly searched for any remaining chametz. The chametz found is then set aside to be burned in the morning. 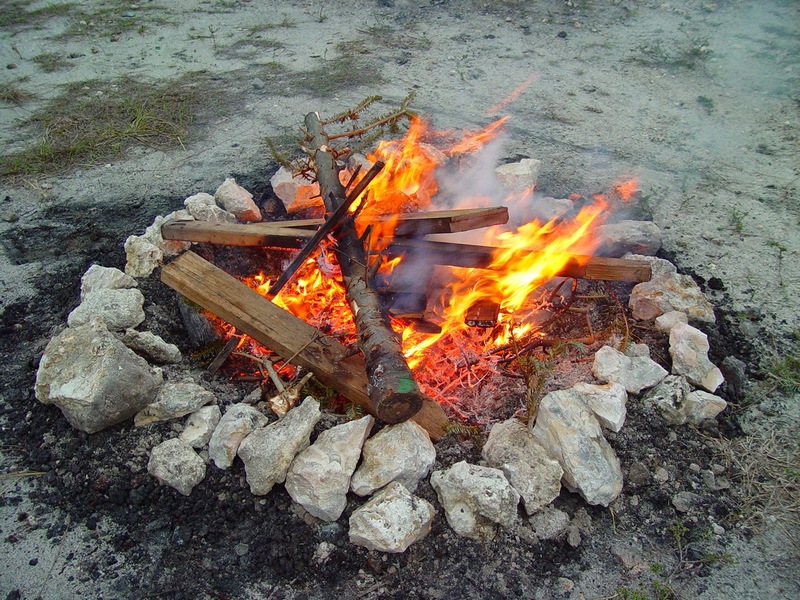 Biur Chametz, the burning of the chametz, is the final step of pre-Passover preparations. 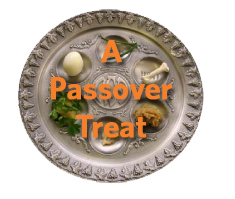 On the morning before the seder, chametz may be eaten until the fourth hour of the day. * Biur Chametz takes place before the fifth hour of the day. * In larger Jewish communities, there is frequently a designated location for Biur Chametz, often in conjunction with, and overseen by, the local fire department. *An hour of the day is calculated by dividing the actual daylight hours from sunrise to sunset by 12. This Treat was published on April 10, 2014. Get rid of your extra chametz.